There’s no denying the fact that a strong online presence can make or break a business. If you don’t have a website, you are losing out on great opportunities and a pool of customers. Being online helps you gauge the market trends and fluctuations, and how your business is doing compared with others in your industry. By focusing on your website, you are establishing an effective marketing strategy which will ultimately increase your revenue. Regardless of the type of business you have, you must have an easy to use and engaging website, one which resonates with the target audience and convinces them to make a purchase. If you need help with designing a website from scratch, get in touch with LBMS,LLC. We are a New Jersey-based Internet marketing and SEO company, and we can help you build a captivating and responsive website. We make sure that your site has high SEO value, an effective CMS system, and that you can maintain it easily. According to a study by sweor, 94% of negative website feedback is design-related. A minor change in your website’s appearance and functionality can boost your brand in the search results. It is essential to have a top-notch website designed in a way that is user-friendly, responsive and provides a good customer experience. The objective of SEO web designing is not to make it more complicated but to instead,provide an optimal user experience. Errors like slow page loading, ineffective file names or missing tags, however, can be potentially detrimental for your SEO. Yes, a picture is worth a thousand words; but, using too many images or outdated flash players can annoy end users, causing them to lose interest in your product/service. Similarly, using large pictures or media files can affect the page loading speed, which will result in less traffic. This will take a toll on your SEO. You should strategically strike a perfect balance between the quality of the image and qualitative content. More and more people prefer viewing website via mobile devices. Therefore, a website needs to be designed in a way that it is accessible across multiple platforms. 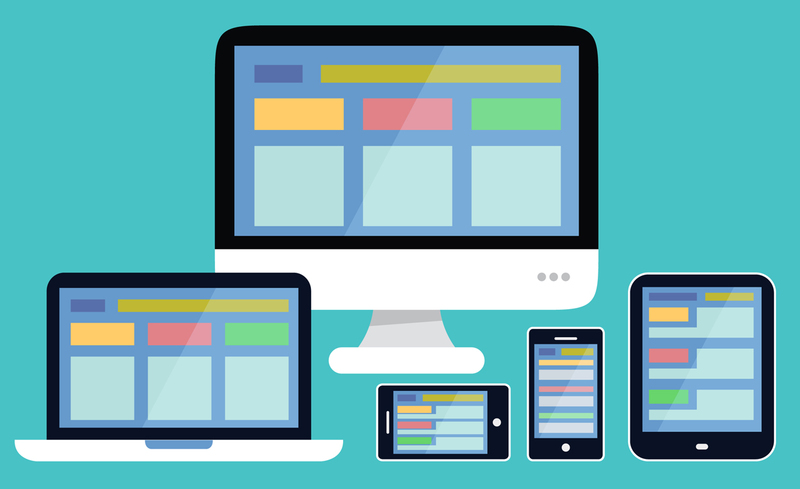 Make sure that your site is optimized for mobile devices. Search engines prefer sites that are responsive across mobile platforms. A rigid and unresponsive web page will affect your SEO by increasing your bounce rate, and you could potentially be subjected to a penalty by the search engine. Yes, web appearance matters, but we should never forget that content is king. No matter how ‘in-sync’ your website is with the latest web development trends, if you don’t have quality content, you’ll attract fewer customers. Quality content should be focused on answering consumers’ questions accurately. Your page language should align with the theme of your business and potential consumers. Create focused content, as it helps to enhance your site’s SEO. Many businesses are falling behind when it comes to building high-traffic and engaging websites. It is in your best interest to hire a professional service like LBMS, LLC, that has extensive experience in designing effective, beautiful websites that magnify your brand awareness and credibility.